This silent version of DeMille's more familiar 1956 film, has a plot that differs greatly. 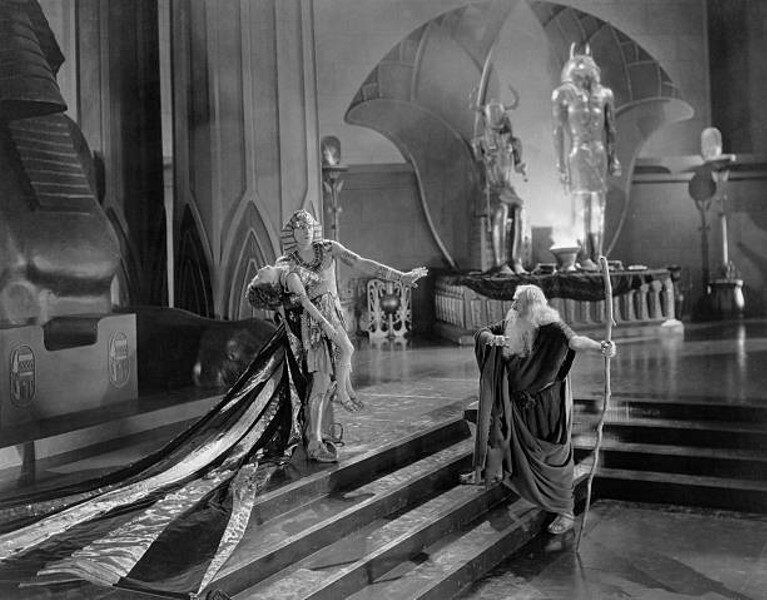 Although the first part of the film is set in ancient Egypt with Moses and Rameses, the central focus is the 1920's story of two brothers-John and Dan McTavish. John, a carpenter, is the son who embodies the laws of Moses, while Dan, a corrupt contractor, lives a life of sin. When a tragedy occurs, Dan tries to redeem his wicked ways. But more hard lessons await him. With live accompaniment by Marta Waterman.